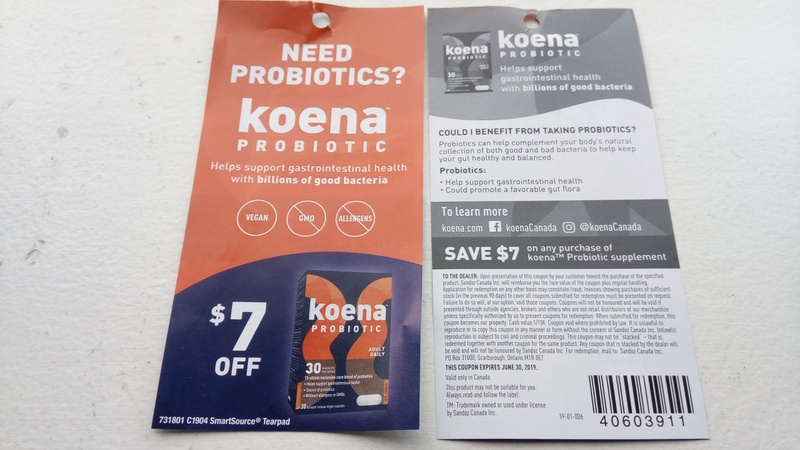 There is a TRY ME FREE in the packaging of KOENA Probiotic Supplement for anyone interested. Valid until Dec 2019. Product cost is around $38, I think. I saw this at SDM. Sorry I did not take a pic so cannot provide more details. hcao, smileyKT and dededi like this. If anyone has a "Facebook Finish MIR" to trade can you please PM me. Thanks for letting us know about this, Grey! I found the MIR form attached to a box of Koena. hcao, smileyKT, spanishpoet and 2 others like this. I can't find the FB Finish rebate form. Can anybody please post the link or tell me how to find the form? TIA! Yes I know it's from Facebook and I tried so many times looking for the MIR on the Finish Page. The problem is the "Active Ads" in not showing on my page. Do you see “Info and Ads” on the left side when you’re on the Finish page? Is this a pill or a liquid? torontogal12 and dededi like this. 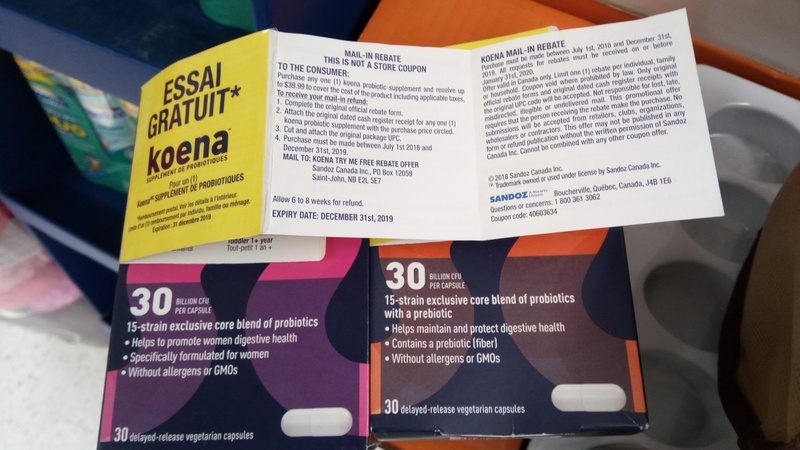 Are you allowed to use a coupon with a mail-in rebate? Bottom right of the fine print on the MIR says "Cannot be combined with any other coupon offer" so no. If you're buying new tires for spring, ask your mechanic about rebates. I just bought tires from General and I'm getting $40 back after submitting a copy of my receipt.